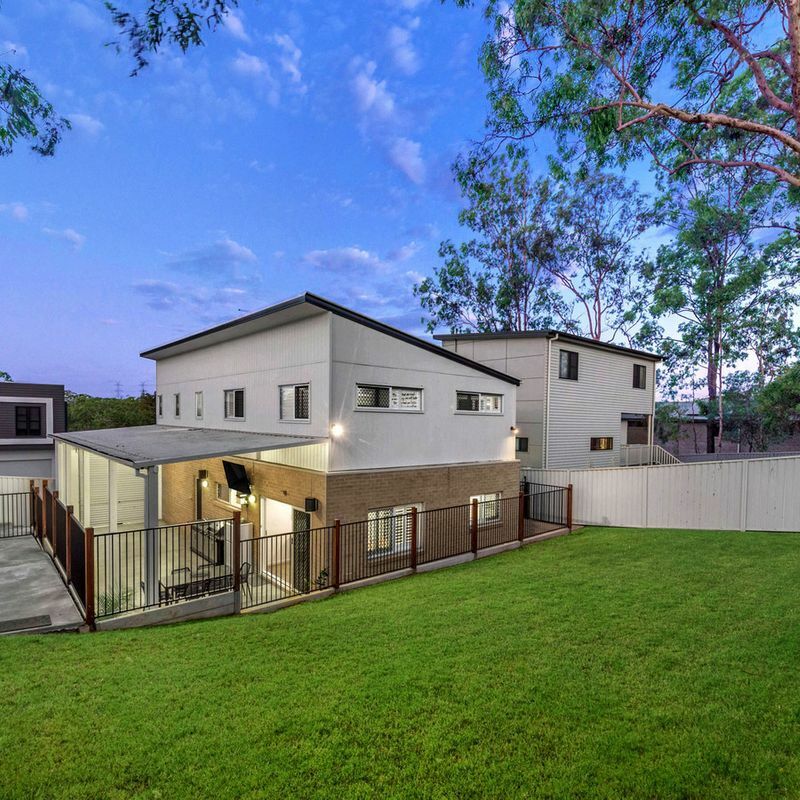 Set within the beautiful Mackenzie Gardens Estate, this stylish and contemporary home presents modern family living in a wonderful precinct. 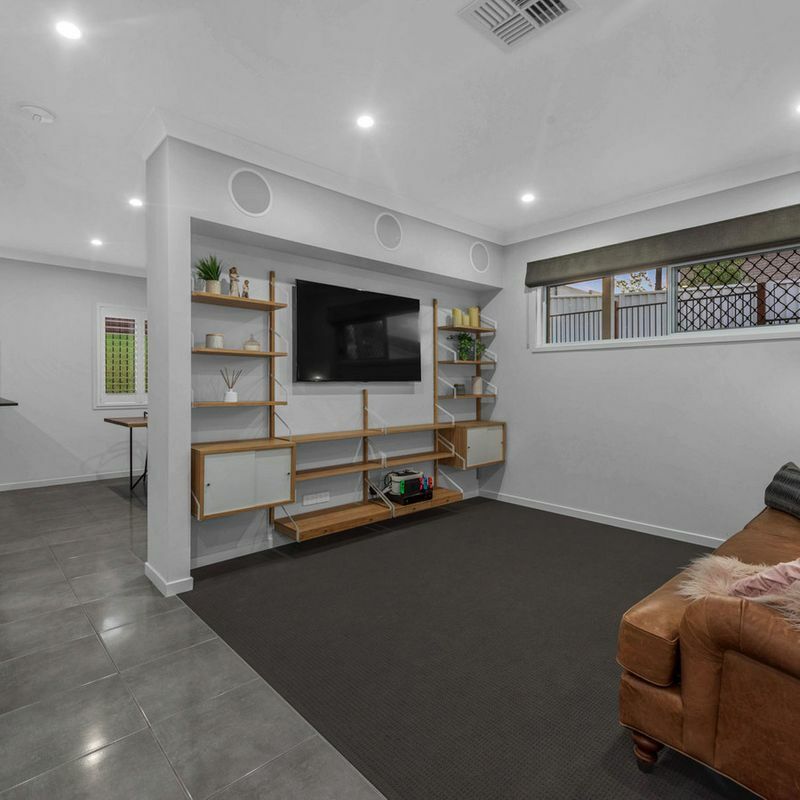 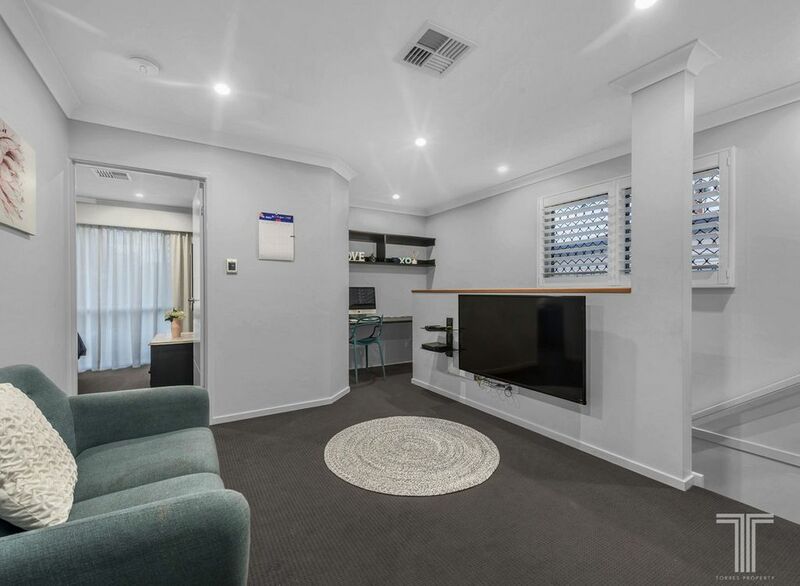 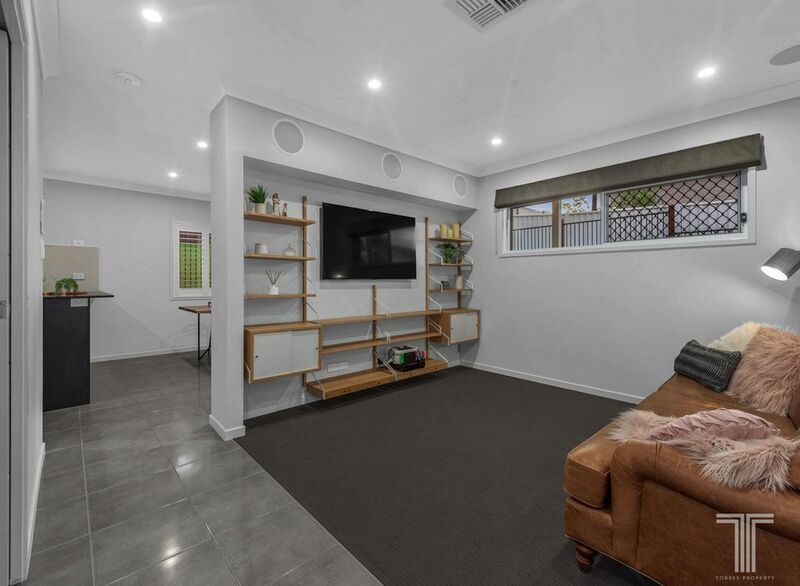 Near new and perfect for growing families, the ground floor of this superb home features a large and comfortable lounge room boasting built-in surround sound speakers and wall-mounted TV. 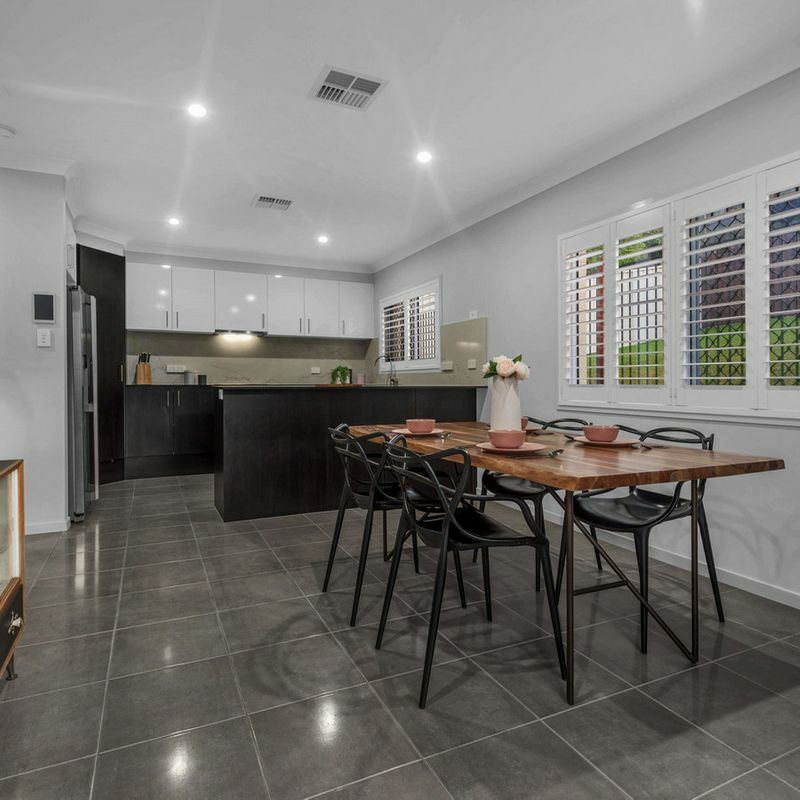 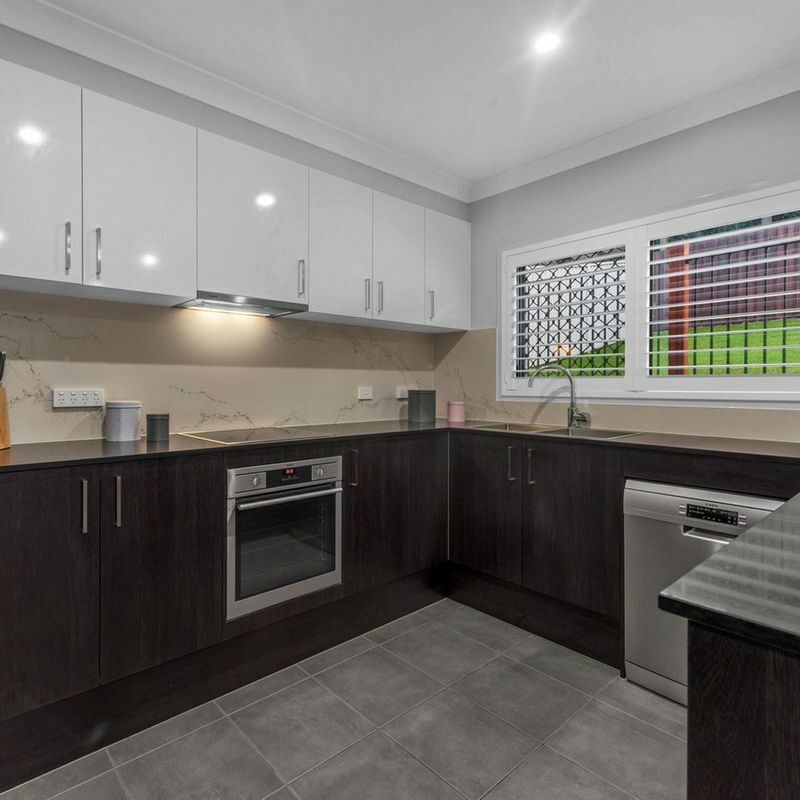 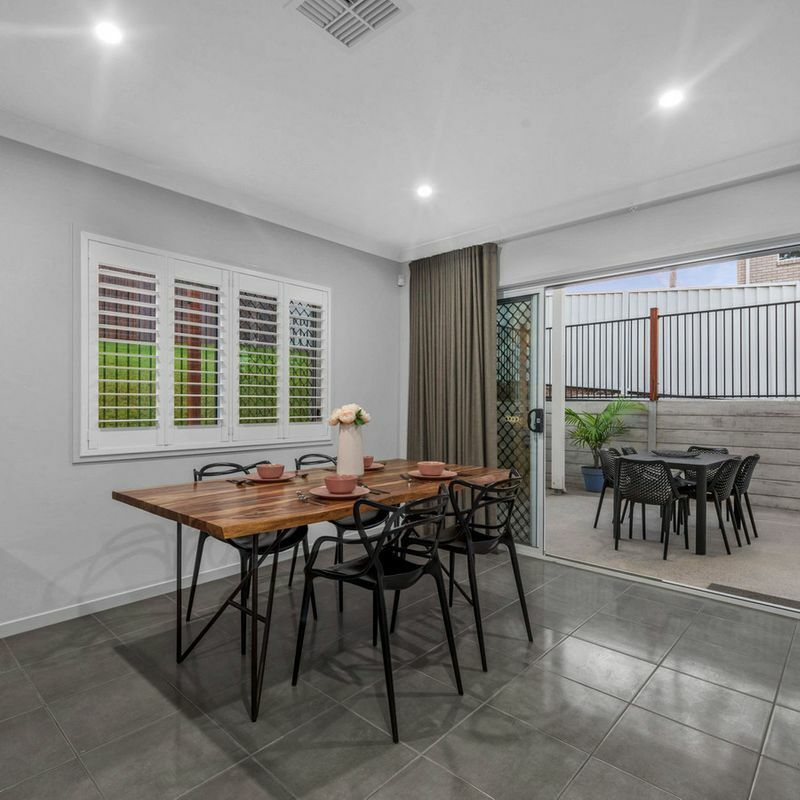 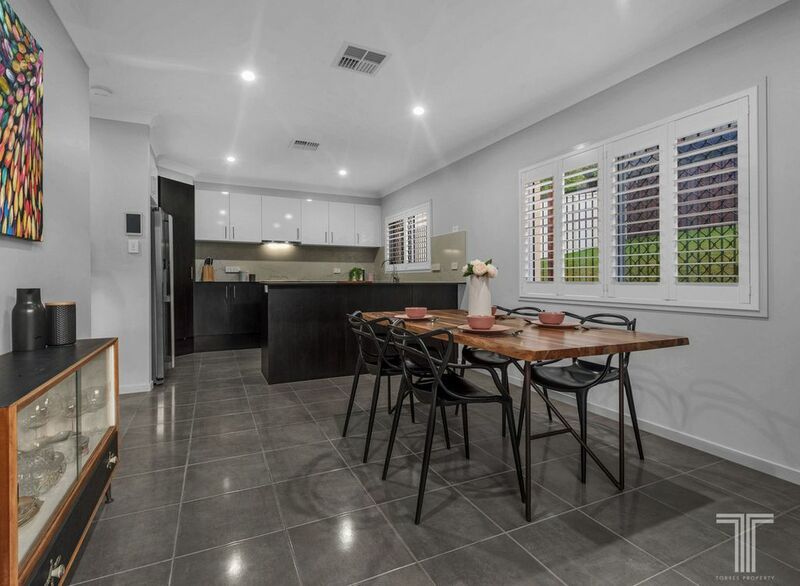 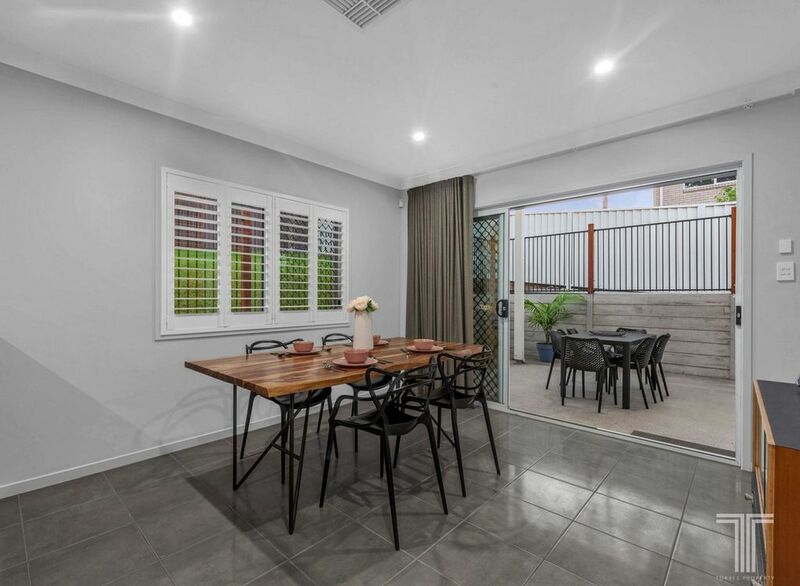 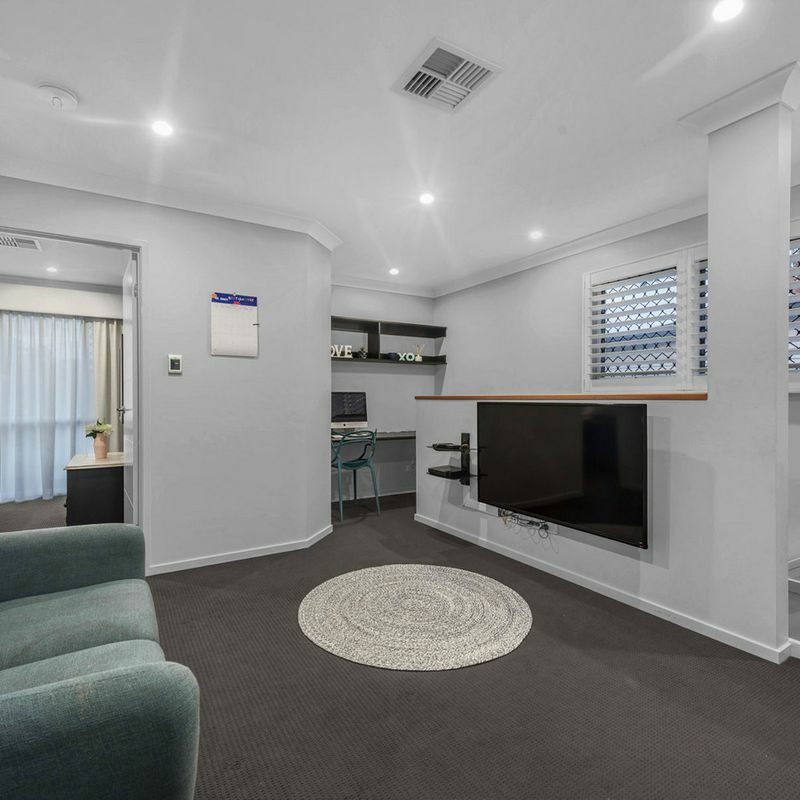 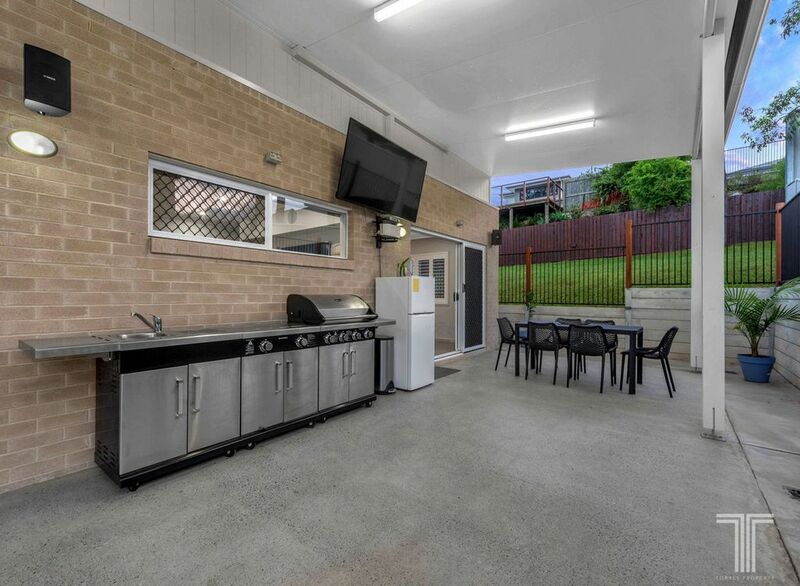 Sitting separate to the lounge room, the dining area adjoins the well-appointed kitchen with black stone benchtops, stainless steel appliances and contrasting cabinetry and extends out onto the spacious alfresco entertaining area. 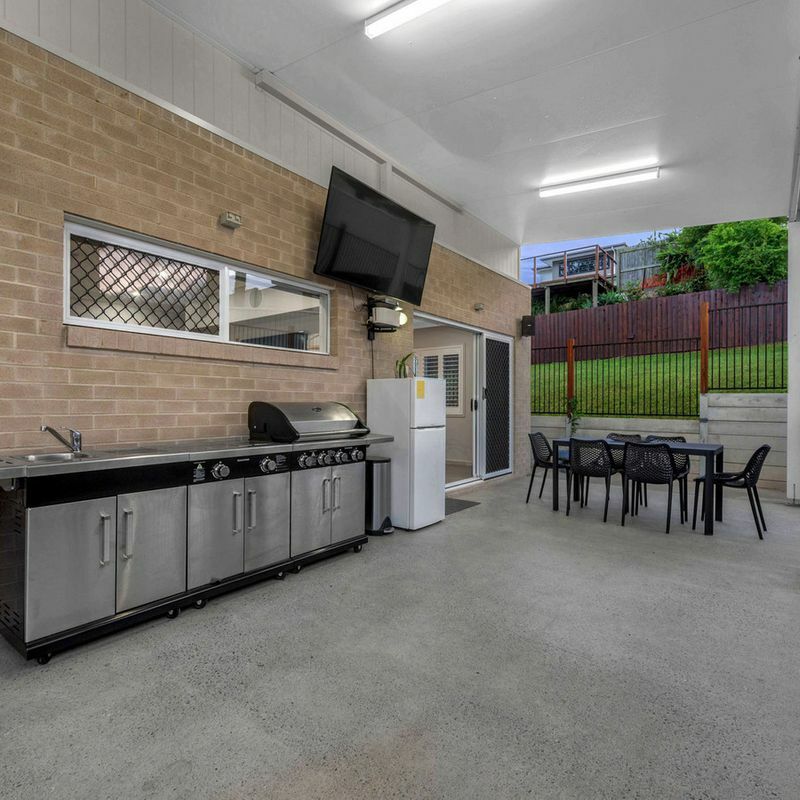 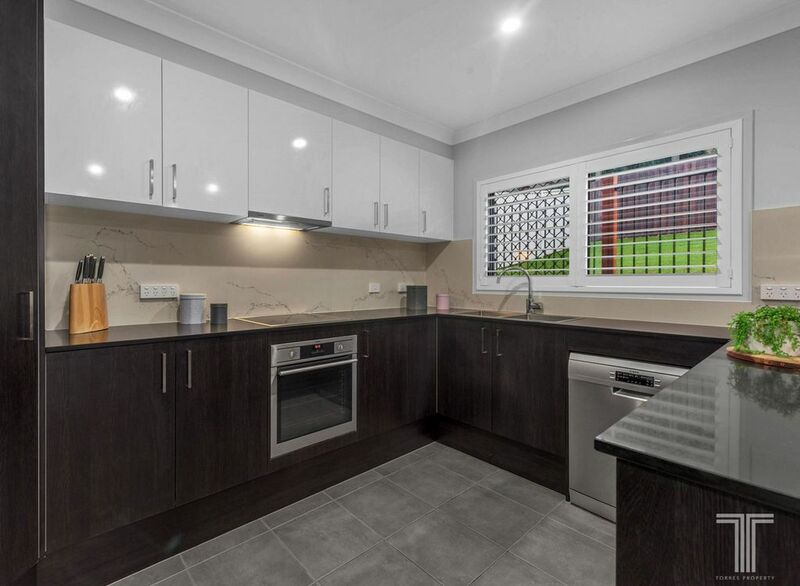 Insulated, covered and setup for outdoor living, the expansive alfresco is setup and ready for you to simply bring your outdoor bbq kitchen and large screen TV with all the facilities already in place. 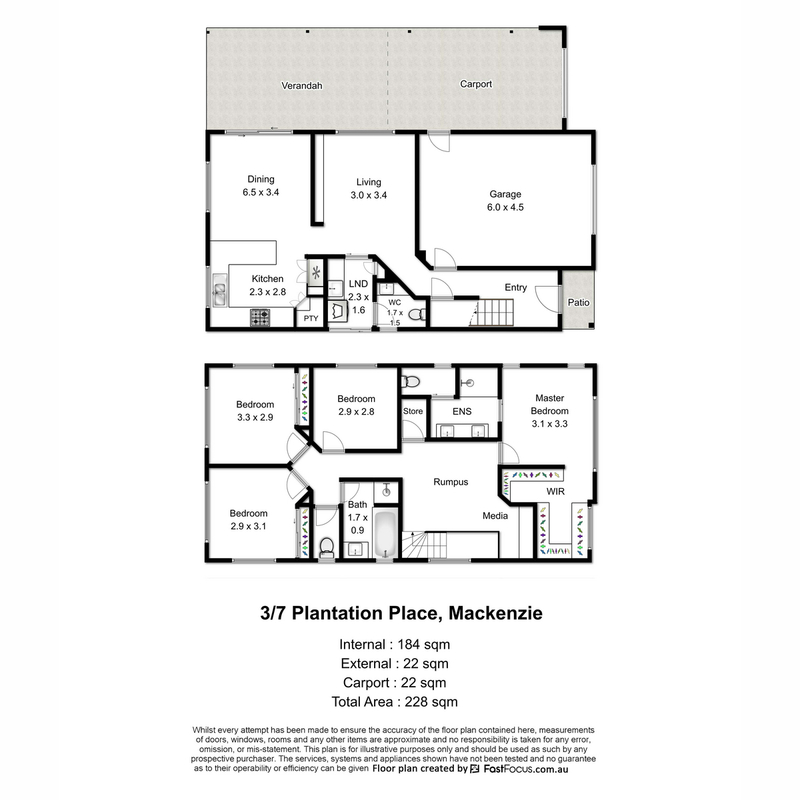 On the upper level, a children’s retreat and study nook accompany four well-sized bedrooms. 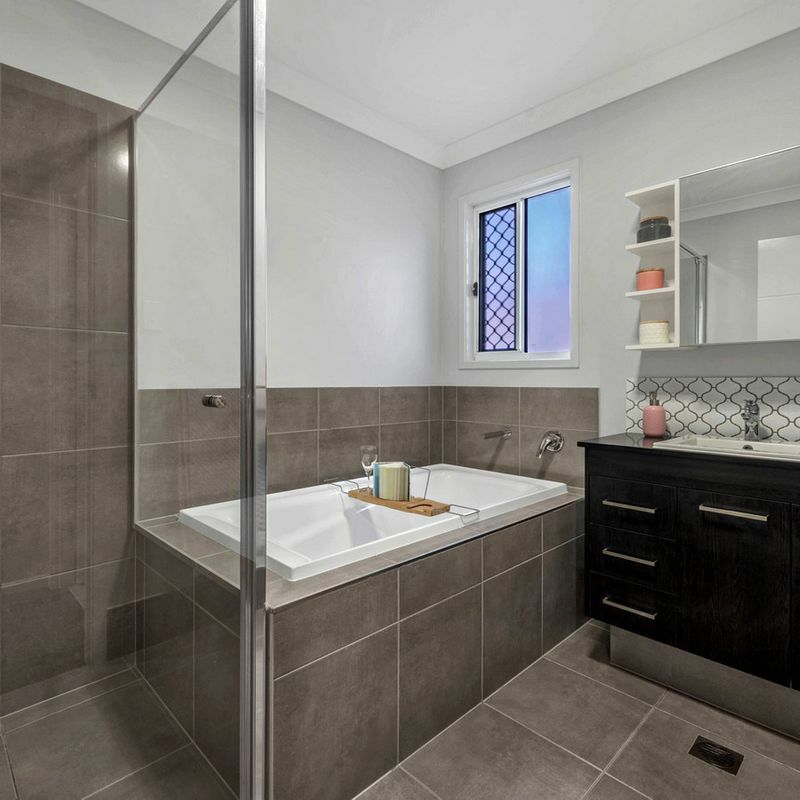 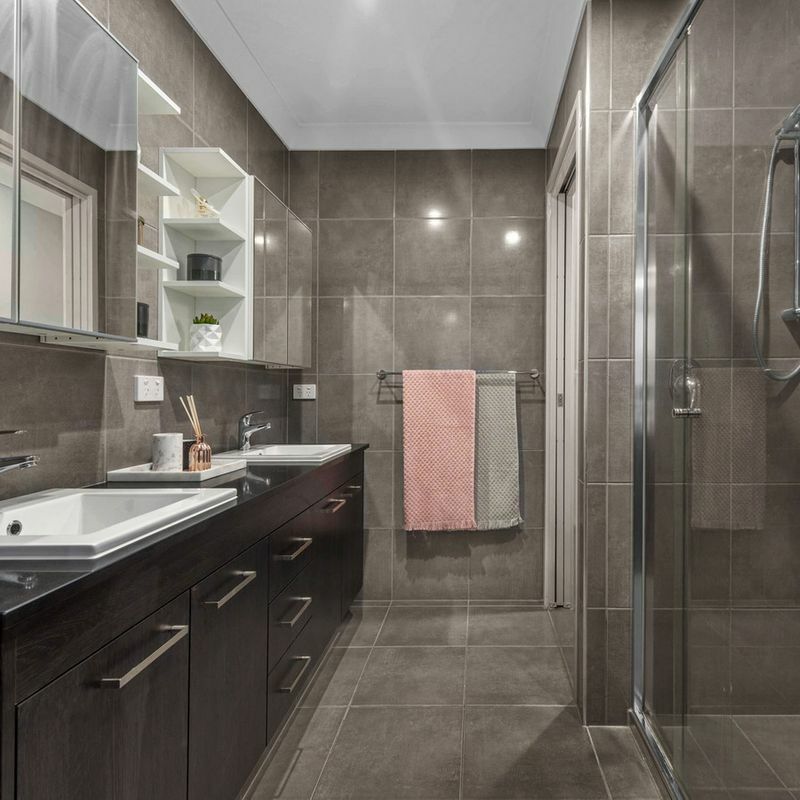 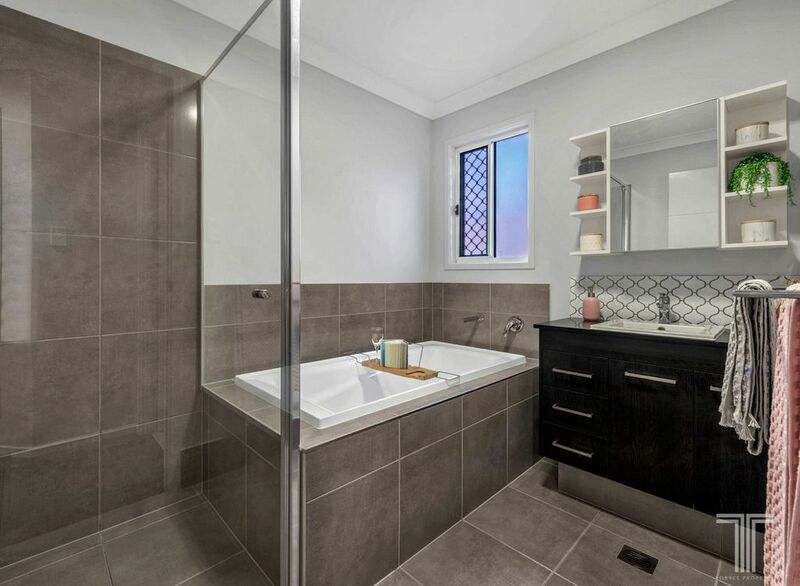 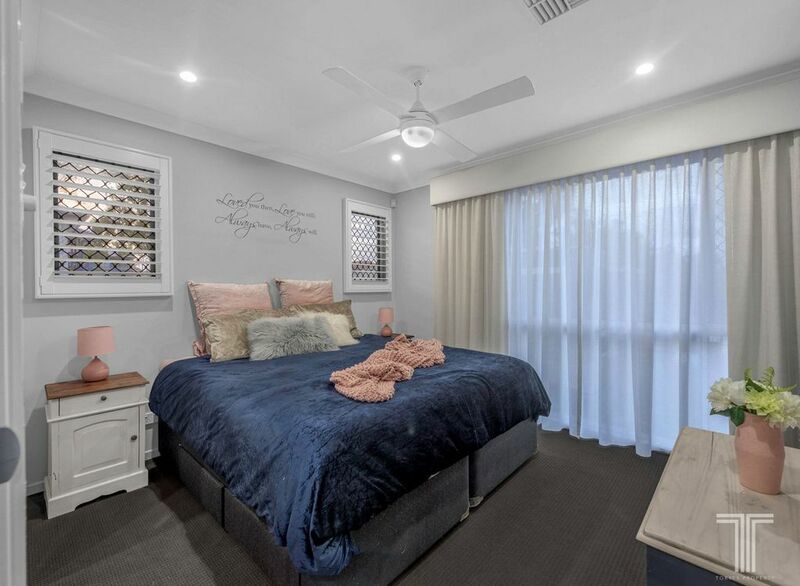 Impressive in design with its walk-in robe and wall mounted TV, the master suite also boasts a modern ensuite with twin head and rainwater head shower and dual vanities. 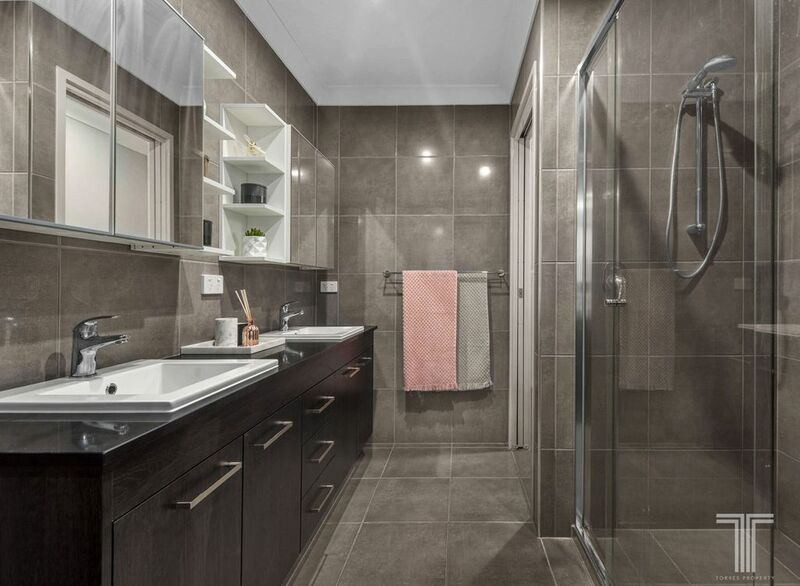 Two of the additional three bedrooms feature built-in robes and all enjoy easy access to the stylish main bathroom. 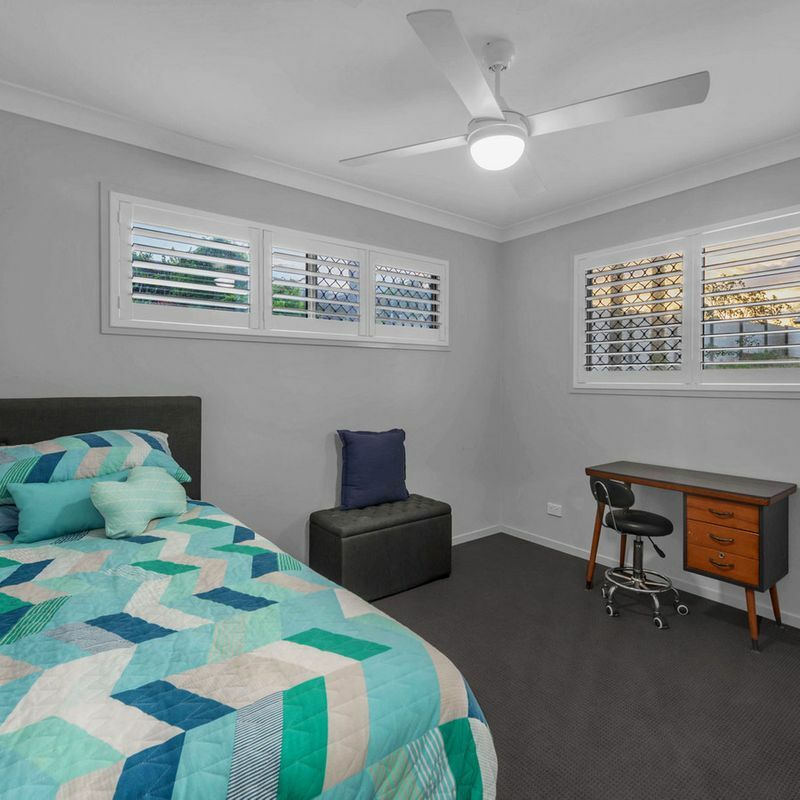 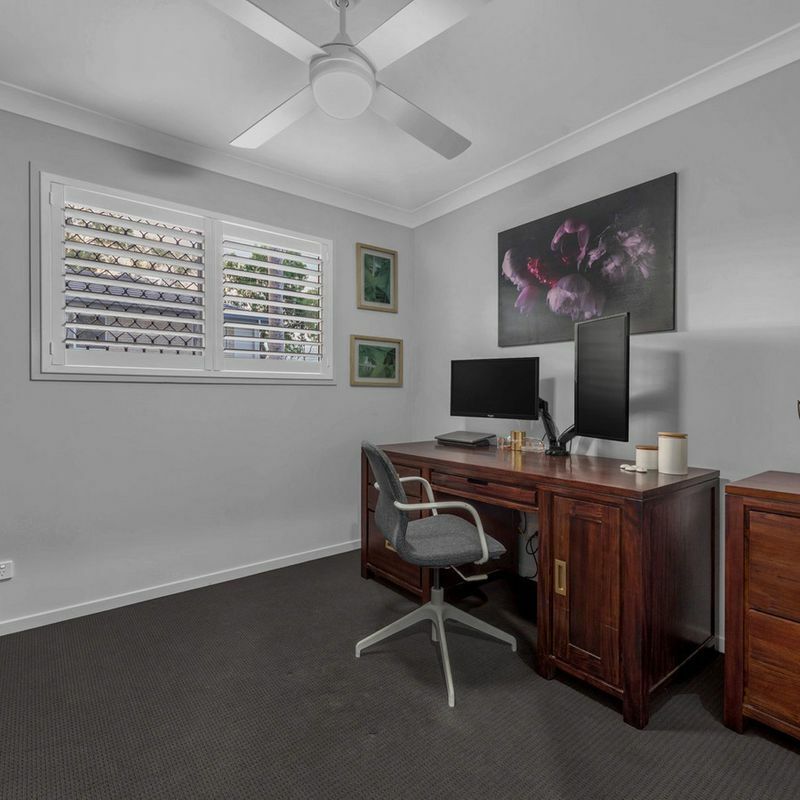 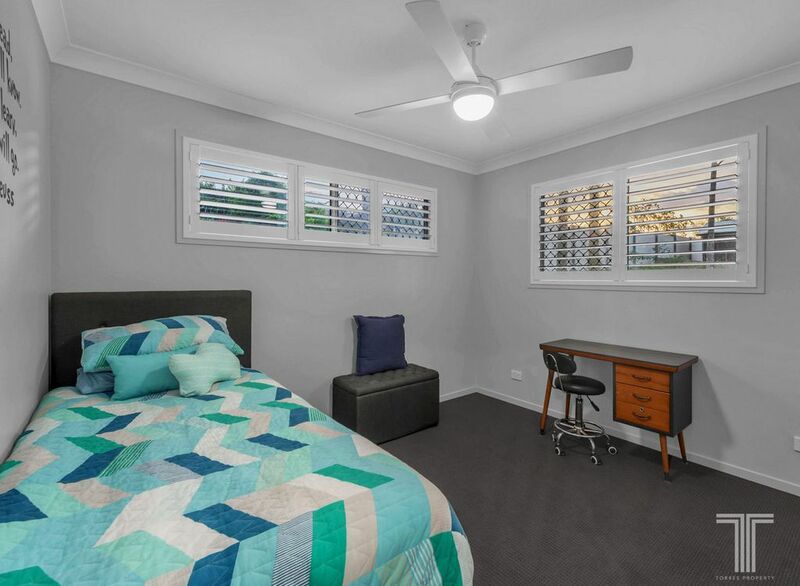 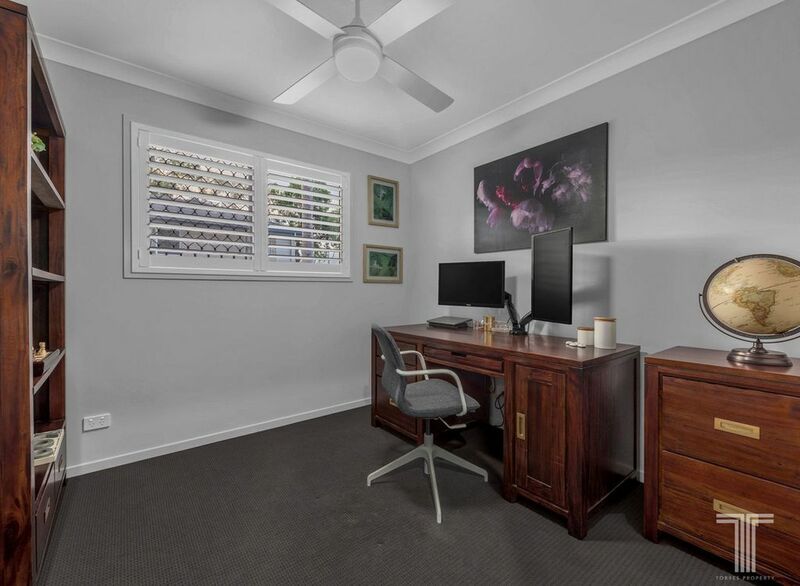 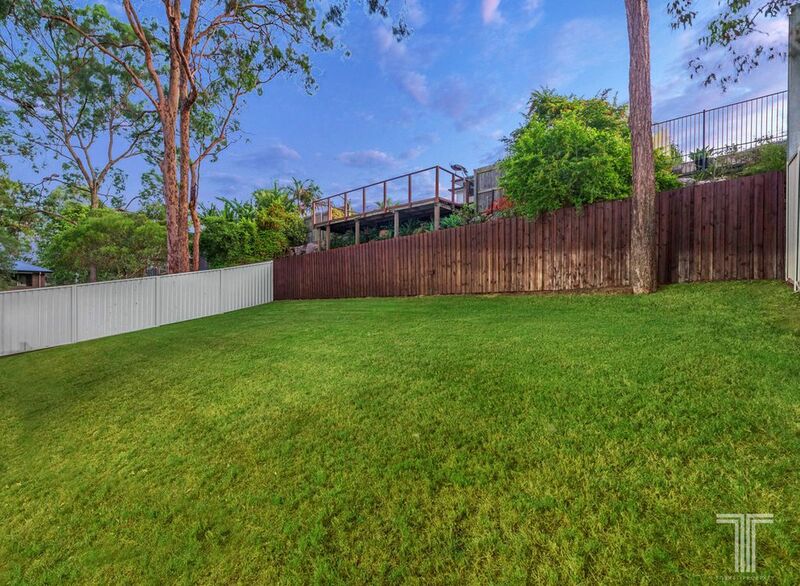 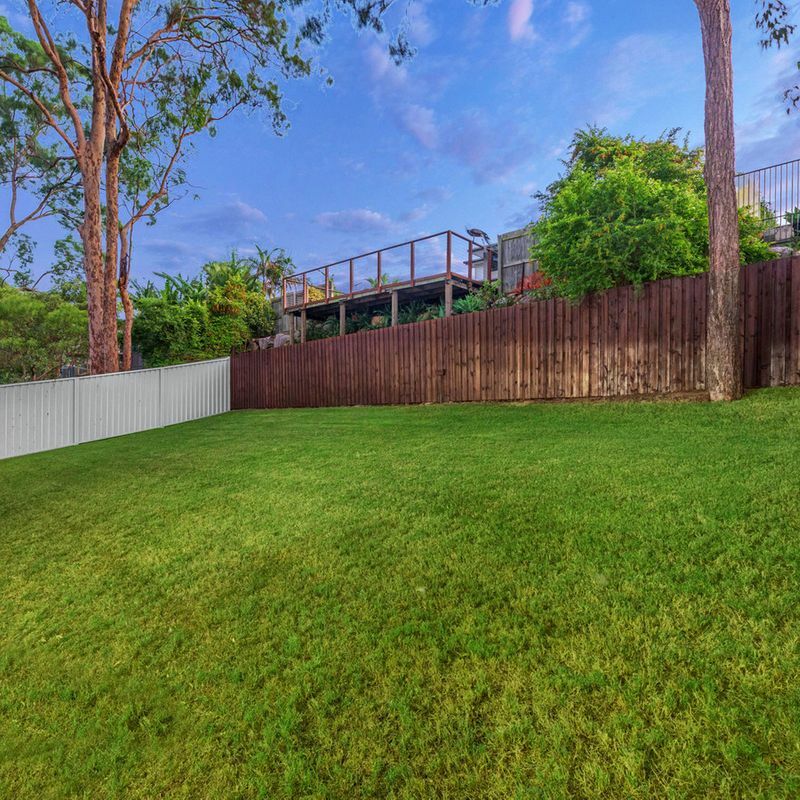 Ideally positioned within the Mansfield State High School catchment, this home is only a moment’s walk or drive to Mackenzie State Primary School and Mt Petrie Road Park. 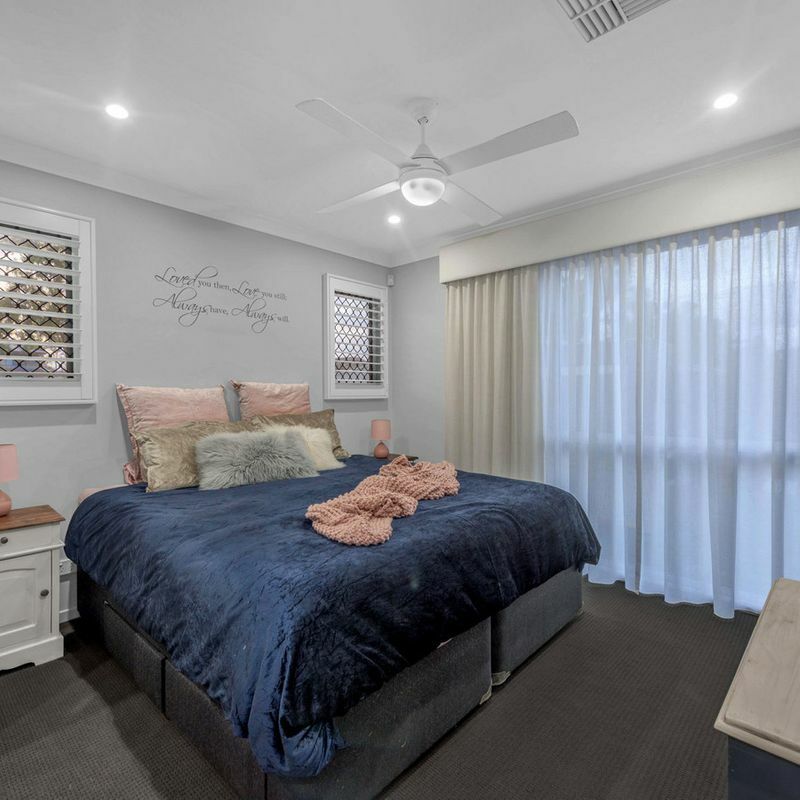 Featuring easy access onto the Gateway and Pacific Motorways, residents will appreciate an array of amenities close at hand including Westfield Carindale, Westfield Garden City, Griffith University and the CBD only 25 minutes away. 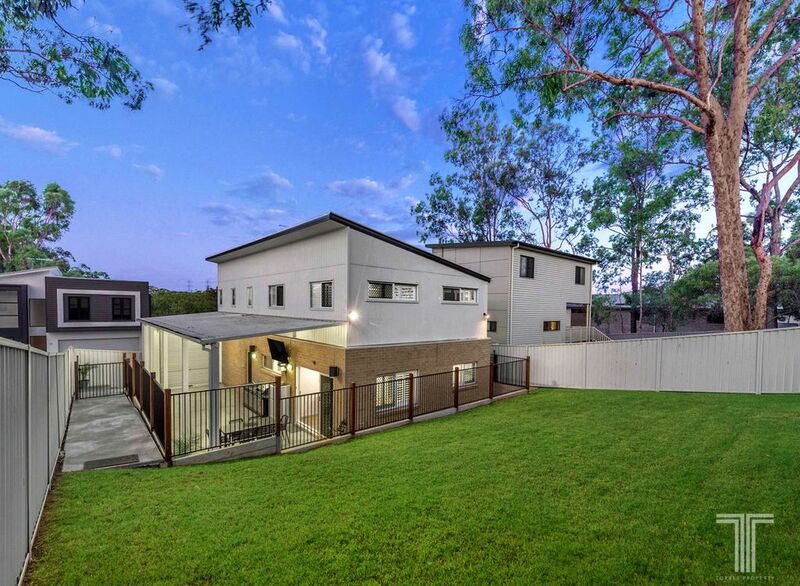 Private, contemporary living in a wonderful community – enquire today.